It is compulsory to all EIT students batch 2016/17 to join the career talk and who is interested can join the interview. Excuse letter will be provided by your respective PC upon request. 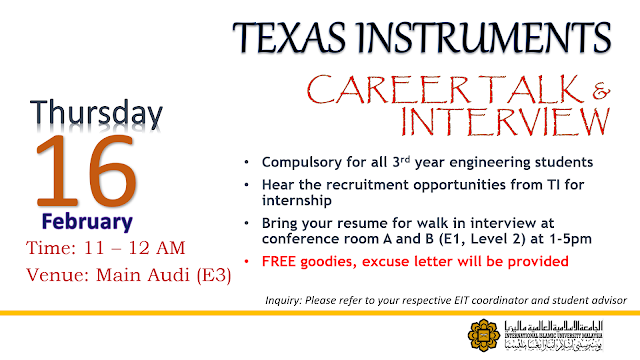 The interview is for students who is interested to do internship with Texas Instrumentations. Please prepare and update your resume and study about the company before the interview.